New Yorkers, Molly and Joel, are out to dinner with friends. They spend the night explaining how they met – it started off badly before they fell in love. Their story is a romantic comedy satire and they are rom com characateurs – she’s cute and klutzy and he’s handsome and ‘vaguely jewish’. 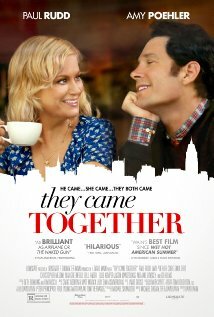 I hate this film for making fun of romantic comedies, because I love a good rom com. Good rom coms transgress the stereotypes, and it is possible to break the mould, to be clever and witty, and tell an interesting, romantic tale. But, granted, a lot of rom coms are very predictable, and against my will, I did find a lot of this film funny as it plays out every single rom com cliche. I don’t think Amy Poehler is the best person for the role of Molly, but as she is an outstanding actor, she does what she can with the script. This looks like it would have been a fun movie to make, it has lots of quirky guest appearances, but overall I think it fell a bit short. Portia is an Admissions Officer at Princeton University (Fey). She’s organised, neat and methodical and her life is simple and controlled. But is she as happy as she could be? When Portia visits an alternative school to talk about entry to Princeton, she meets Jeremiah and his teacher, John (Rudd). She tries to help young Jeremiah get a place at Princeton, chiefly because she believes him to be the child she gave up for adoption many years ago. Both Jeremiah and John challenge Portia’s simple and controlled life. They ignite her passion, her suppressed wild side, the side she tries to subdue because it reminds her too much of her own mother (played by Tomlin). In the end, her life may have had the shake up it needed, but she might be left with nothing and no-one. I quite like this film. 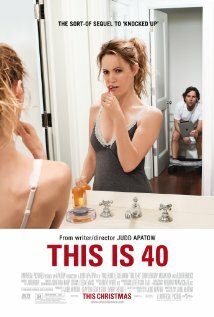 I’m extremely partial to both Tina Fey and Paul Rudd, so the film would have to be really awful for me not to like it. It doesn’t try too hard to be funny, letting Fey and Rudd bring out the humour through their acting rather than through jokes. Admission isn’t a hum-dinger of a rom com, but if you’re a Fey fan, then it’s worth seeing, and will be enjoyable. Kate is tragically (yet comically) killed on her wedding day. A year later, her fiancé, Henry, is having trouble moving on with his life. Henry’s sister, Chloe, drags him to see a psychic. She organises for the psychic, Ashley, to fake contact with the dead Kate. She thinks if Henry has contact with Kate, he may feel happier. But Henry and Ashley develop feelings for each other. So Kate decides to intervene from beyond, appear as a ghost to Ashley, and scare her off. But Ashley fights for Henry. Kate can never get Henry back, so will she let him be happy with some-one else? I love Lake Bell (see It’s Complicated, What Happens in Vegas, No Strings Attached) but have only seen her in supporting roles. I was very excited to see her in a lead role, and I think she did a pretty good job. 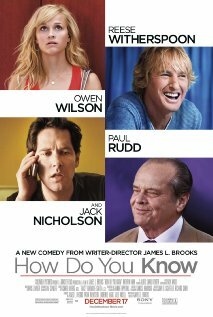 Paul Rudd always plays the loveable, good guy – I think, however, he’s been in funnier roles. I also like Lindsay Sloane, she’s a great rom com support female. So put them all together and the flick works. It’s not great, but it works. Charlie is an intelligent, gentle, young 15 year old who goes into high school like a lamb to the slaughter. But luckily he is taken under the wing of a gang of off-beat seniors, particularly Sam (Watson) and Patrick. His new gang of friends help to make him feel special, no longer the wallflower. They show him how to have fun, how to be alive, but also how to understand his emotions. He is struggling with repressed hostile feelings about a childhood relationship that he doesn’t really understand. His new relationships guide him towards the professional help he needs. 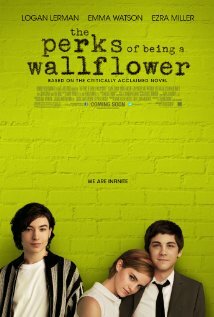 Based on the novel of the same name, this film is a coming-of-age flick rather than a rom com. It is sensitive, humorous, and passionate. Definitely worth watching – it makes you want to be young again at the same time as being glad that you’re not.